Usually I am not that forgetful but after reading the information The Gourmet Wine Club sent to me on the Spanish winery Más Que Vinos and decided that it could be an interesting event, I forgot to rsvp for the dinner until the night before. Luckily, Alfred, the owner, was accommodating and even had me sat next to winemaker/owner Alexandra Schmedes. It turned out to be an very enjoyable evening. Alexandra is German. While working at a winery restaurant in Constantia in South Africa, she decided that she wanted to change career so walked across to the cellar and started learning wine. Since then, she has made wine in France and Italy. She moved on to Spain in 1998 and met Margarita Madrigal and Gonzalo Rodriguez. The three winemakers, at that time consulting to various wineries, decided to make their own wines and created their brands using local varieties in Castilla La Mancha, a winegrowing region that was underestimated and with a poor reputation for quality wines. Más Que Vinos (more than wine in English) was thus born in 1999. Castilla La Mancha is a plateau south of Madrid which extreme continental climate and producing nearly half of Spain’s wine. It is the home of Airén, the most widely planted grape variety in Spain and one of the few grapes that can cope with the extreme cold and dry conditions of the Meseta (plateau). A neutral variety, the majority of Airén is used in brandy production. Therefore, one could imagine the challenges Alexandre and her partners faced to make quality wine there. Their efforts paid off. Careful management of old bush vines (some over 80 years old), restricting the yield to less than 4 tons/ha, organic farming, fermenting grapes in amphorae some dating back to 1851 thanks to Gonzalo’s family and the subtle use of oak result in wines that are expressive and balanced. 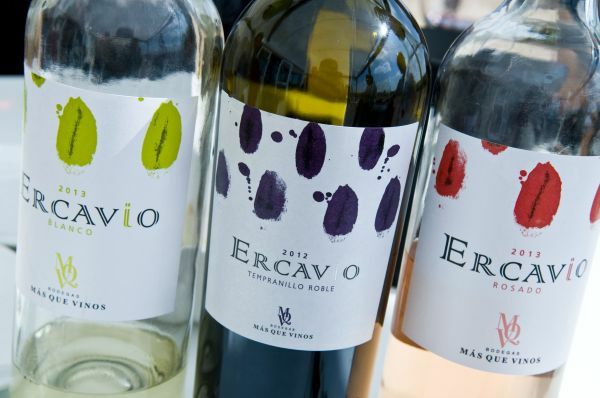 Ercavio is their first brand consisted of a Blanco (white) made from 100% Airén, a Rosado (rosé), Tempranillo Joven and Tempranillo Roble all made from 100% Tempranillo (known locally as Cencibel). 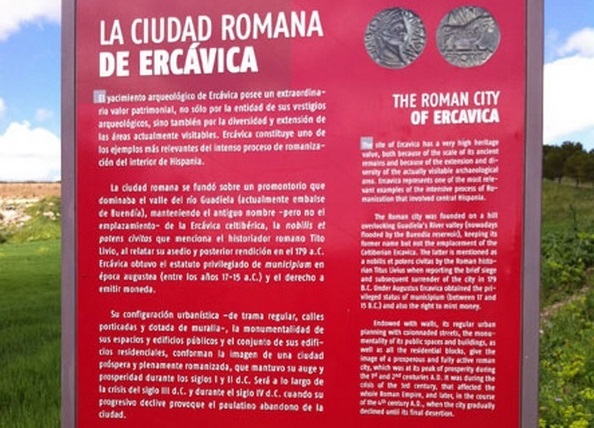 The name Ercavio is derived from Ercávica, a Roman city in Castilla La Mancha where wine was made some 2,000 years ago. We tried the Blanco and Tempranillo Roble. Both were pleasant. 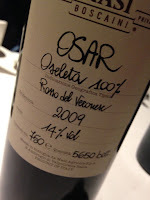 The Blanco was particularly impressive and definitely a different league from the many mediocre Airéns in the market. The Tempranillo Roble was aged only six months in two years old French barrel to spice up the wine without overpowering the fruits. I also like the labels, each with different colour wine drops to indicate the style of wine. To illustrate, Tempranillo Joven with no oak treatment has brighter red drops to emphasise the vibrant characters, while Tempranillo Roble’s is darker purple drops that match with the added complexity. The labels stand out, are user-friendly and effective. With retail price at around $100/bottle, I believe Ercavio could breakdown the barrier and attract occasional drinkers to enjoy more wine. Moving up is the Special Editions series with limited production. El Señorito is 100% Tempranillo from a single vineyard that Alexandre said is the most difficulty vineyard to work with but rewarded them with exceptional fruits. Only 800 bottles were made in 2011. The last one we tried was La Plazuela, a blend of Tempranillo and Garnacha. These 60-80 years of vines yield less than 2 tons of fruits per hectare, resulting in a concentrated yet elegant wine that can stand the test of time. It was sublime with the slow roasted Segovia style suckling pig skilfully prepared by Chef Jesus at Olé Spanish Restaurant. Más Que Vinos is available from The Gourmet Wine Club. Most main stream restaurants in Hong Kong, no matter how specialise they are, often serve wine from more than one countries to ensure they cater for every palate and preference. Therefore it was surprising to find out that Gaucho, an Argentinian restaurant specialising in steak, only lists Argentine wine, and over 150 of them, save a few champagne. Gaucho is an international restuarant chain that opened its first Asian restaurant in Hong Kong in 2014. The all Argentine wine list was the brainchild of the group’s Director of Wine, Phil Crozier, back in 1999 for the outlet in London. It was a radical decision that proved to be a great success. 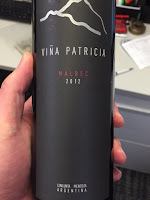 Englishman Phil was nicknamed Mr Argentina because of his relentless effort in promoting Argentine wine. His wine list has grown from 25 wines in 1999 to over 400 wines from 13 wineries at present. His second radical idea came was to create Gaucho’s own in-house label wine. In 2007 the group purchased a 6.5 ha vineyard, Finca La Franca, in Luján de Cujo in Argentina. The wine, Viña Patricia, is only available exclusively at Gaucho restaurants. Most wine lovers know that Malbec is the flagship wine of Argentina. 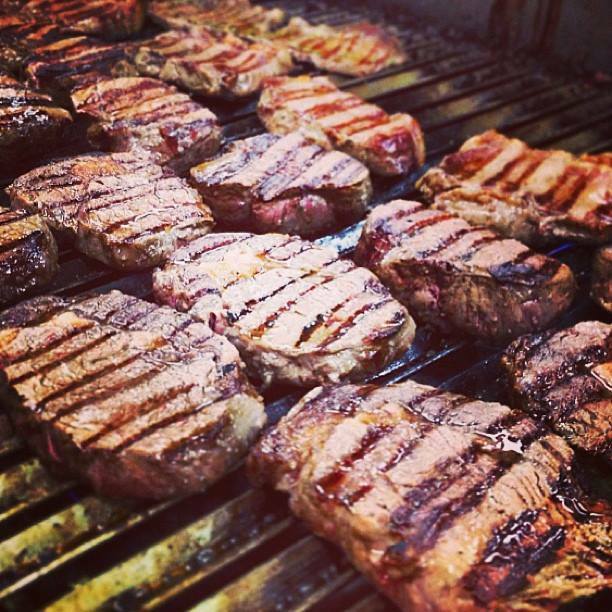 Gaucho has an impressive list of some 50 Malbecs including the Super Malbecs. 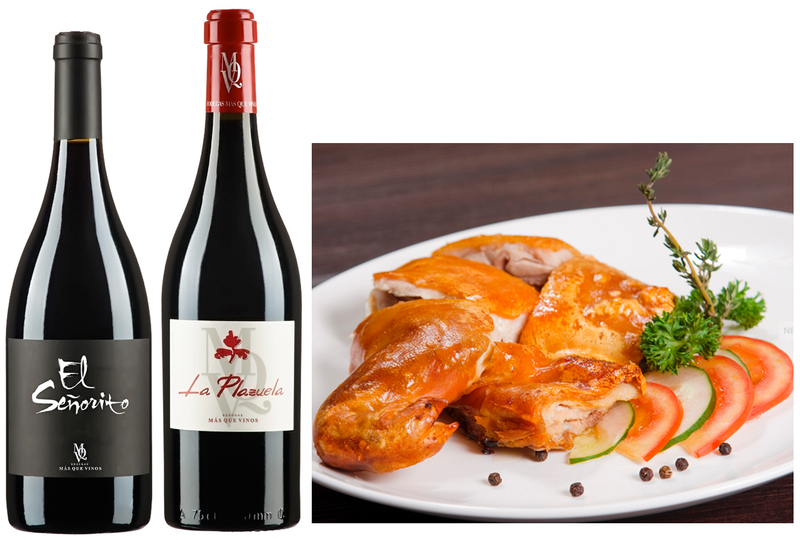 In addition, Phil, together with Hong Kong head sommelier Andrés Torres, also champion other Argentine wines, in particular Torrontés and Bornada. Torrontés, with its floral, apricot and faint lychee aromas, are reminiscent of Gewurztraminer but with higher acidity, goes extremely well with ceviche (raw seafood marinated in lime juice). Bornada is the second most planted red variety after Malbec in Argentina, offers bright red fruit characters with supporting acidity. It is versatile with food and matches with both seafood in heavy sauce and steak. Apart from the wine, the food at Gaucho is equally impressive. The Trio of Medallions (three cuts of fillet, rib-eye and sirloin) was heavenly that was the best I have tasted outside Argentina. It was perfect with the accompanying Bonarda, Cabernet Franc and Malbec that Andrés has carefully selected. I totally agree that promoting a country’s wine through its food is the best way to engage consumers. Every country should have a Phil with his dedicated passion to the country so we consumers can explore and appreciate what wine producing countries can offer. To sample fine Argentine food and wine, including Gaucho own label Viña Patricia, visit Gaucho in LHT Tower in Central. It has to be the most enjoyable and memorable wine trip, 12 judges from CX HKIWSC went on a 3-day study trip in Khao Yai in Thailand, organised by Pairach Intaput, fellow wine judge and President of The Association of Thai Sommeliers, and Visooth Lohitnavy, owner of GranMonte Estate and Chairman of the Thai Wine Association. 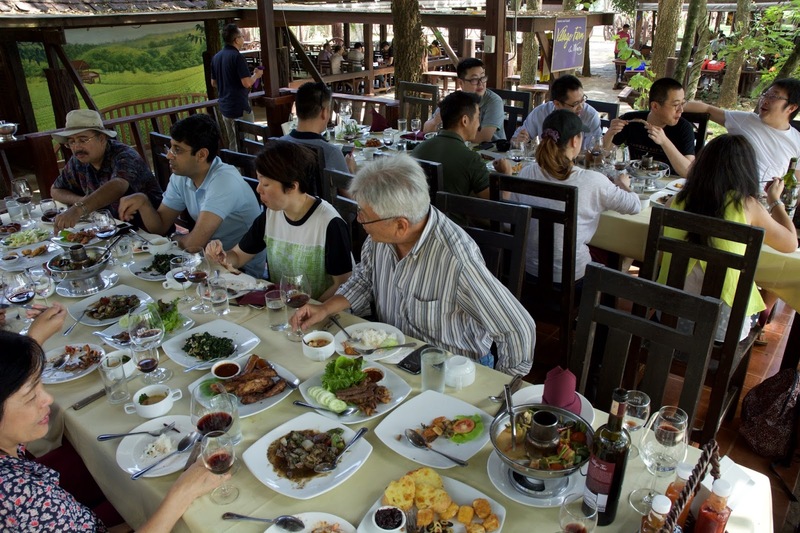 We visited three wineries, dined at some of the top restaurants in Thailand and shared very interesting wines from around the world brought along by the group. After a quick round of G&T and beer, the group met for dinner at Luce Italian Restaurant where we were surprisingly greeted by a welcome banner. The food was hearty, especially the mushroom pasta, and tasted even better when accompanying by 12 wines ranging from Indian sparkling to Single Malt whisky not to mentioned a very impressed 2014 Barolo. It was the first time I tried non-Thai food in Thailand and I can assure you it won’t be the last time. The next day was a long day to Khao Yai northeast of Bangkok. It is the coolest and driest wine region in Thailand. Morning temperature at harvest is between 15 and 20ºC and vineyards are scattered between 350m and 600m above sea level. In addition to wineries, there are other attractions such as flora parks, strawberry farms and sheep farms. It is around two to three hours drive from Bangkok making the region a popular overnight visit for both locals and tourists. Our first stop was family-owned Village Farm & Winery and the wine is made by a visiting French winemaker. Daughter Viravadee Cholvanick was down to earth and patient. She showed us the winery and answered patiently all the questions we threw at her from soil and vineyard diseases to wine tourism. After a delicious lunch at the winery’s airy restaurant, we had a walk around the vineyard before being driven to J+J vineyard, newly planted three years ago at 600m altitude where Visooth explained to us the challenges of growing vines in tropical climate. We were then welcomed at Alcidini, the scientific name of kingfisher and the name of the village where the winery is located. Owner Supot Krikpitudh planted the vineyard in 2001 with only two grapes: Syrah and Muscat Bleu, a Swiss hybrid; and started making wine in 2005. Its S.M.B., a blend of Syrah and Muscat Bleu is aged in solera system is interesting, while its Recioto 2013 won a silver medal in the 2014 CX HKIWSC. Finally, we arrived at GranMonte Estate where charming winemaker Nikki, daughter of Visooth, greeted us with her very well-made Crémant Methode Traditionelle Extra Brut from 100% Chenin Blanc with 18 months on lees. The evening ended with an enjoyable Thai dinner at GranMonte’s Vincotto restaurant accompanied by both GranMonte and international wines. We went back to GranMonte the following morning for a proper vineyard tour and tasting. Located at Asoke Valley in Khao Yai with 14.5ha (90 rai in Thai unit) under vines, the vineyard was developed by Visooth and Sakuna Lothitnavy in 1999. The winery only began operation in 2009 when Nikki graduated from the University of Adelaide. 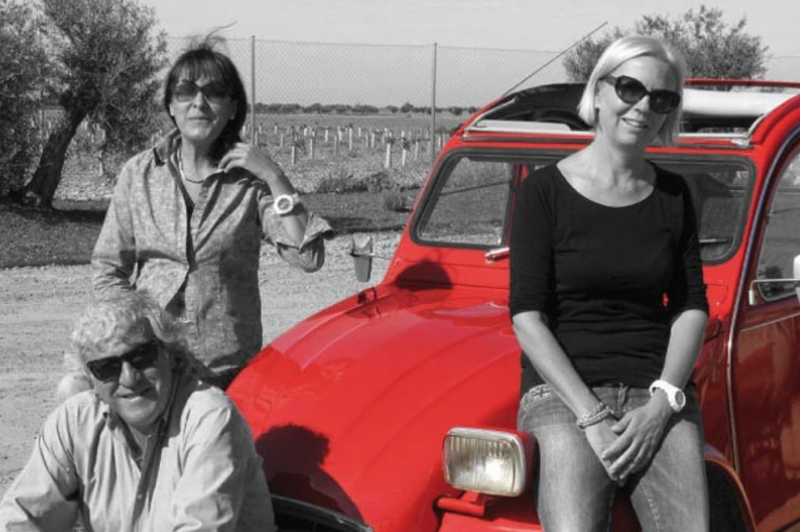 The first and the only female winemaker in the country, Nikki is in charge of both the vineyard and winery of GranMonte, and has been making international award-winning since 2009. Like most wineries in New World, black grape varieties and in particular, Cabernet Sauvignon, were the focus but they soon realised that white varieties are more suitable for the climate. Today, GranMonte only makes 60% red, while white is about 20%, rosé 15% and 5% sparkling. The Spring Chenin Blanc is refreshing and ideal with Thai salad and appetiser. Its Verdelho, the only available in Thailand, has a pleasant mineral finish white the Orient Syrah is multi-dimensional with well-integrated tannin. 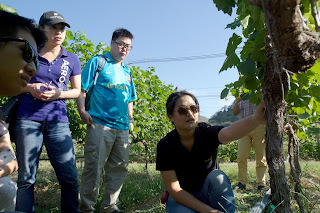 What also set GranMonte apart is the family commitment to develop the wine industry in Thailand. Nikki manages a research plot with some 30 varieties including Durif (Petite Syrah) and Sangiovese to find the most matching varieties to Thai terroir, and also works closely with a Bangkok University to set up weather stations to monitor both the meso- and micro-climates. Visooth founded the Thai Wine Association to support the industry, establish winemaking quality standard and create awareness of Thai wine. 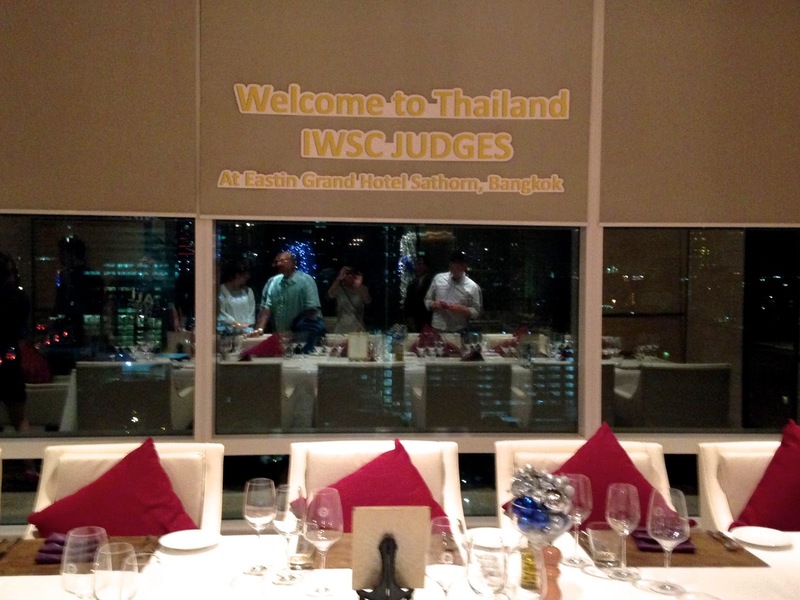 There are over 20 wineries in Thailand but most import grape must or concentrate to make wine. Tropical viticulture is challenging because vines do not go through the dormant period and bud break occurs soon after harvest. Therefore, there can be two, or sometimes three harvests in one year, lowering fruit quality. Nevertheless, there are determined winemakers in Thailand and to overcome the challenges, they only harvest in end of February, the coolest month. The new buds that come out in the following months are nipped off until end of October when the raining season ends and vines are pruned. Growing cycle will then start again. The practice is to ensure the grapes harvested are of the best quality. 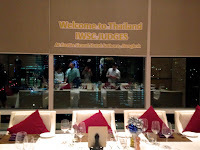 All six members of the Thai Wine Association must make wine from at least 85% of Thai-grown grapes. We then returned to Bangkok where Parani Chitrakorn, another HKIWSC judge from Thailand, took us to Kalapapruek Restaurant for a typical Thai lunch. The restaurant was extended from the owner’s family house that also has a small shop selling fresh vegetables and western pastries and cakes. It was full when we arrived. Judging by the crowd, who was split 50:50 between locals and tourists, we were sure the food would be yummy and we were not disappointed. After a few hours of relaxation where everyone headed off to do something or nothing —Thai massage, nap, Facebook surfing, we regrouped again for our last dinner at Aubergine, an excellent French restaurant with our last few bottles of wine including a Riesling from Niagara and an obscure 100% Oseleta from Verona. A few rounds of beer after dinner concluded this fruitful yet fun-filled trip. 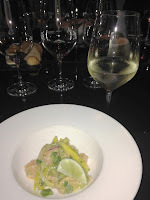 Thai wine may not be your world class wine but wine is also about passion, story and sharing. We certainly learned a lot and appreciate the effort wineries put in to make the best possible wine. 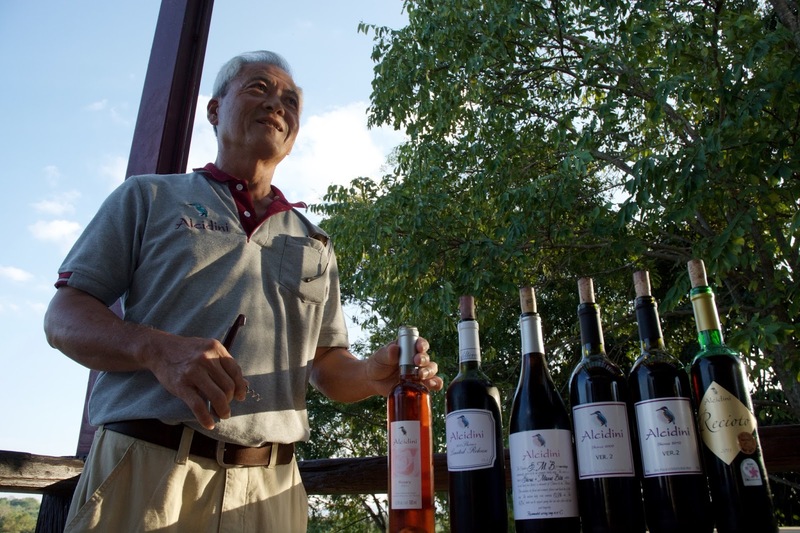 Khao Yai is smart not to promote only its wine but wine tourism where guests could sample wine as well as enjoying a bike ride or picking strawberries. Next time when you visit Thailand, put aside a couple of days to explore Khao Yai. GranMonte is available from The Flying Winemaker.